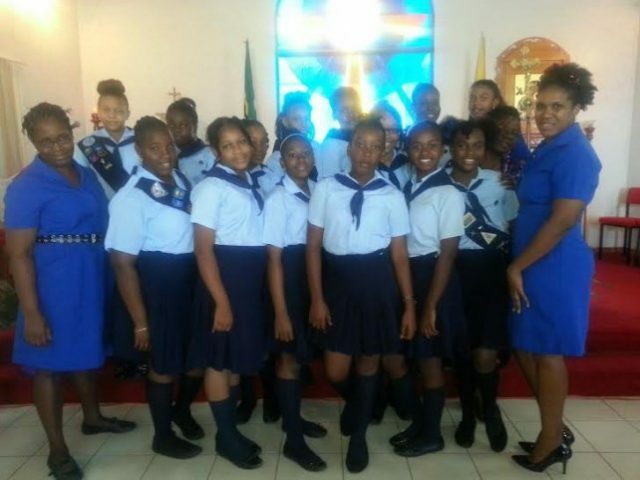 The Girl Guide Association of Dominica (GGAD) continues to celebrate its 90th Anniversary with a number of activities under the theme “Connecting With The Past, Moving Forward With Determination”. On Saturday April 6, 2019 the association held its 90th Anniversary – Grand National Enrollment at the Saint Martin School, where over 200 young ladies along with family members and friend came together to witness the Enrollment of over one hundred (100) other young ladies. Others present at the National Enrollment were the Brownie Commissioner and other members of the GGAD Executive among others.